Hi, my name is Walter and I’m your virtual IT Director. Today I would like to talk to you about Auto Tiering. 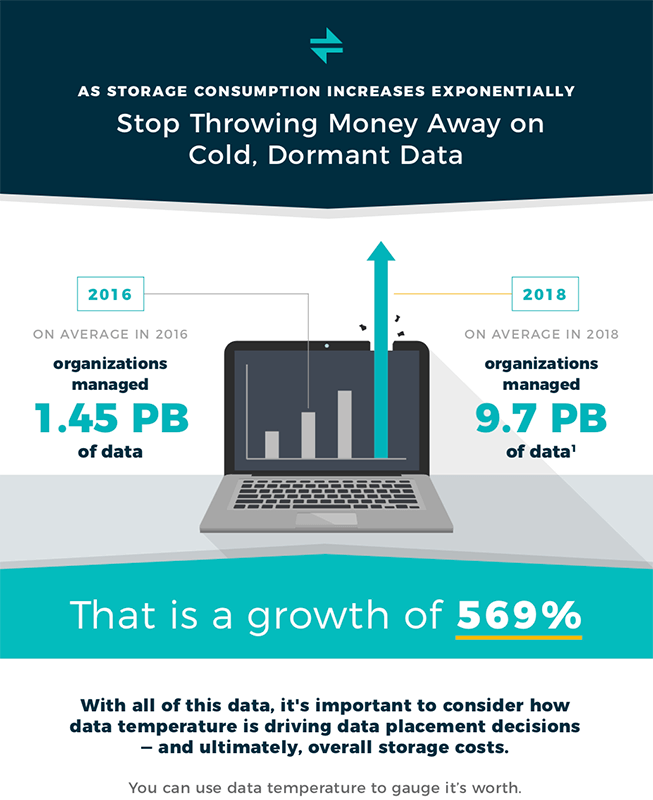 Storage administrators are now increasingly focused on the speed of feeding data to the computer’s processors because getting data from the storage to the processor has become a performance bottleneck, and most storage vendors have done a poor job of addressing this performance issue. CPU speed performance has increased 8 to 10 times. DRAM speed performance has increased 7 to 9 times. Network speed performance has increased 100 times. Bus speed performance has increased 20 times. Hard disk drive (HDD) speed performance has increased only 1.2 times. 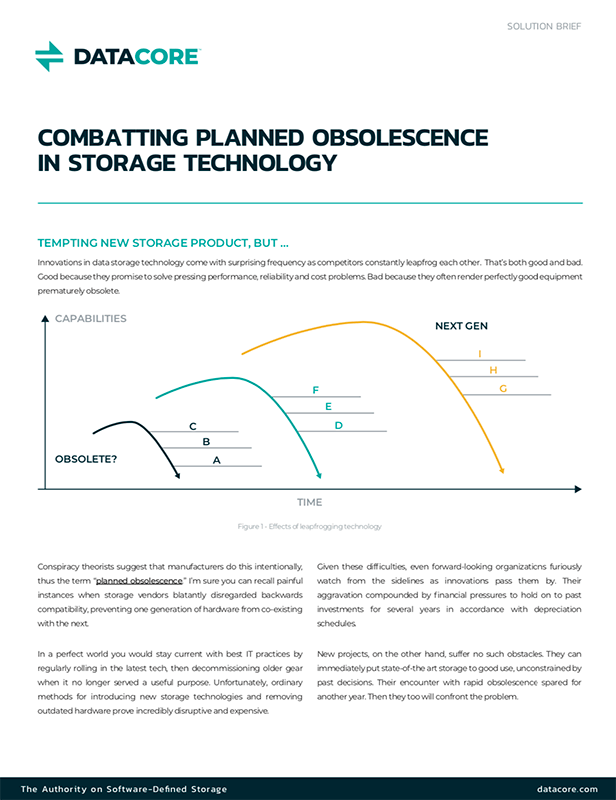 One result of this storage bottleneck is that your applications may be running slow, which negatively impacts productivity and wastes the capacity of other expensive infrastructure in your datacenter. Auto-Tiering is a real-time intelligent mechanism that continuously positions data on the appropriate class of storage based on how frequently the data is accessed. DataCore allows you to create up to 15 tiers of storage and will automatically migrate data to the tier that delivers the right performance at the right time. Not once a week, not once a day – this is ongoing, real time tuning of your data. Data can be automatically migrated from Flash to Enterprise Storage to Nearline Storage and even off to the cloud for archival. Best part is, this is done at the block level. The result is superior application performance and lower TCO across the entire storage architecture. In fact, surveyed DataCore Customers Report Up to 10x performance increases when using Auto Tiering and other DataCore Performance optimization features. I hope you have found this information helpful and I look forward to talking to you again soon.